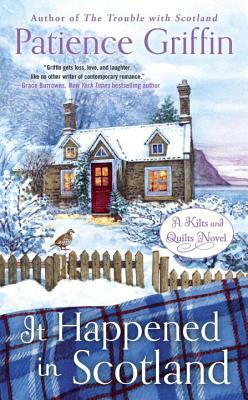 Patience Griffin is the author of the Kilts and Quilts novels, including The Trouble with Scotland, The Accidental Scot, and Some Like It Scottish. To Scotland with Love, her first book in the series, was a double RITA® Award finalist. She grew up in a small town along the Mississippi River and spends her days writing stories about hearth and home and dreaming about the fictional small town of Gandiegow, Scotland.